Ransom Eli Olds (June 3, 1864–August 26, 1950) was a pioneer of the American automobile industry, for whom both the Oldsmobile and Reo brands were named. He claimed to have built his first steam car as early as 1894, and his first gasoline powered car in 1896. He founded the Olds Motor Vehicle Company in Lansing, Michigan, on August 21, 1897. The company was bought by a copper and lumber magnate named Samuel L. Smith in 1899 and renamed Olds Motor Works. The new company was relocated from Lansing to Detroit. Smith became President while Olds became vice president and general manager. In 1901 Olds designed the Curved Dash Oldsmobile which sold for $650.00. It was this car, rather than Henry Ford's Model T, that was the first mass-produced, low-priced American motor vehicle. Although the factory was destroyed by fire that year, the company still sold over 600 models of the Curved Dash. In 1904 sales were up to 5000 units. As Smith's son, Frederick, came into the business, he and Olds clashed frequently until Fred Smith removed Olds from the position of vice president and general manager in 1904 and Olds left his company. He went on to form the R.E. Olds Motor Car Company. 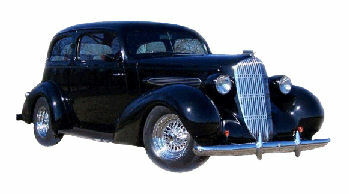 Its name was quickly changed to Reo Motor Company to avoid a lawsuit from the Olds Motor Works. The name REO came from the initials of his name as an acronym. Olds served as president (until 1925) and later chairman of REO. The Olds Motor Works was bought by General Motors in 1908. The Oldsmobile brand, after a production run of 107 years, was discontinued by General Motors in 2004. In the early 1900s, Olds built an elaborate Queen Anne-style mansion on South Washington Avenue in Lansing. Among the home's many technological innovations was a turntable in the garage which allowed Olds to pull in at night and leave again the next morning without driving in reverse. You may need to put it in reverse to back out after finding this cache. It is a small, plastic 4oz. ointment jar capable of holding small trade items. The mansion was demolished in 1972 to make way for Interstate 496, which ironically was then named for Olds himself. He had another house in Ann Arbor, Michigan, which is still standing, and is open to the public for tours. What year model is this Olds? If you guess 1934 - the hint is "Six Feet High in a Tree"
If you guess 1935 - the hint is "On the Ground"
If you guess 1936 - the hint is "In a Hole in a Tree"
Avoid the use of acronym only logs and cut 'n paste logs. You must sign the log to claim the find. No exceptions, no excuses. Blank logs may be deleted without notice.